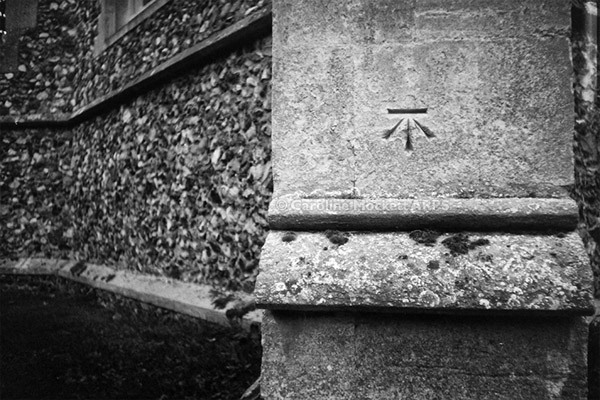 Notes: Wandering around Abbess Roding Churchyard this afternoon, I spotted this characteristic Ordnance Survey Benchmark carved into the side of one of the buttresses holding up the church tower. 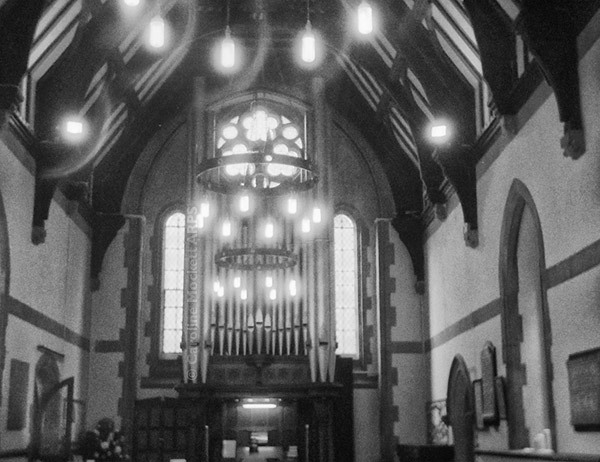 Notes: I was glad I managed to make a picture inside the church here, the expired Tri-X helped (rated at ISO400 but I suspect less sensitive now due to its age). Perfect for Treasure Hunt Theme #66 – Musical Instruments. 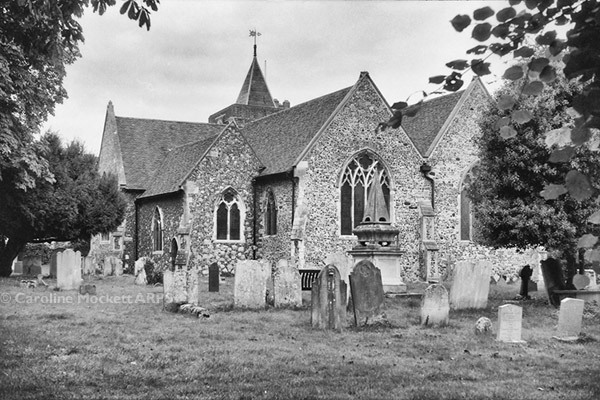 Notes: I realised I’m a bit behind with my churches project, so resolved to tackle the next on my list, Orsett. It’s quite a large building but the side with the tower isn’t easy to photograph well. 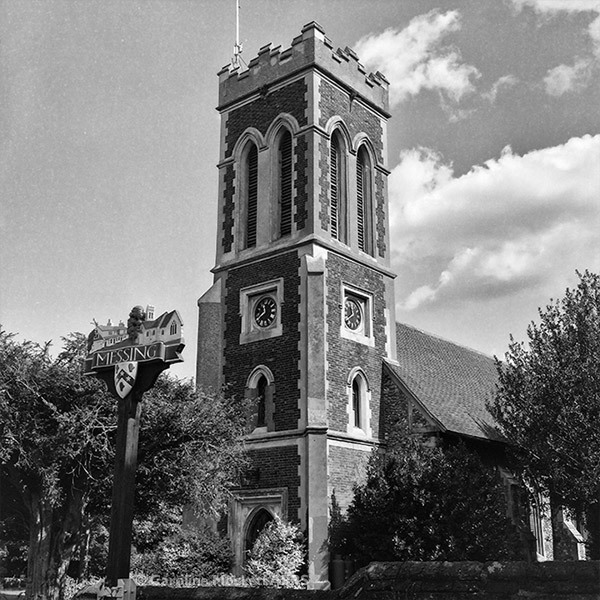 Notes: I’ve been testing out my Univex Mercury II camera recently – it’s a half-frame 35mm format camera, so those rolls of 36 never seem to end! Instead I tried some expired Kodak Tri-X 400 which I’ve had kicking about for a while – it only has 20 full frames, so it didn’t take an age to finish the roll. 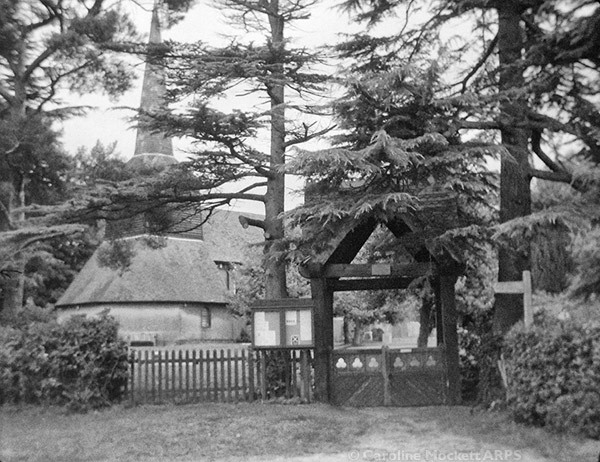 Here we are at Navestock for a visit to the Church. 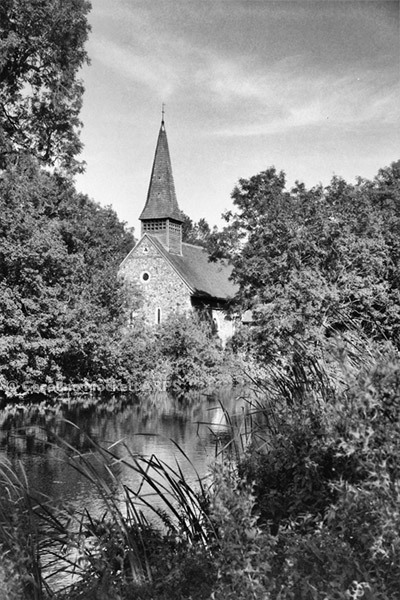 Notes: Another church to visit today, for my Essex Churches A-Z. 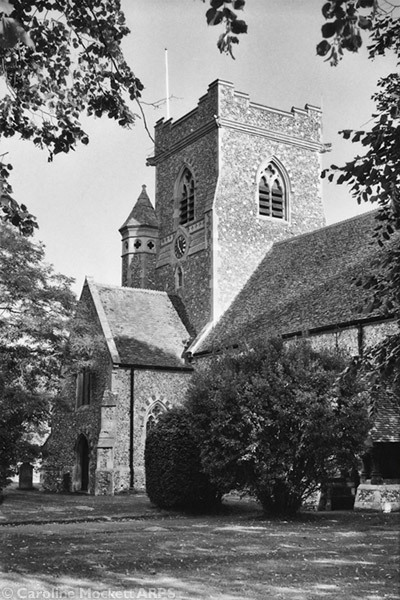 All Saints, Messing has a fine square tower. I enjoyed using the Rolleiflex again – it’s been sitting on the shelf since mid-June.